Thread: Lowered newer Mazda 5 alignment result. I just got my car back from alignment shop and here is the report. It is lowered with TEIN coilover. Does the toe seems fine? Camber looks quite bad? Sheesh, your camber is all sorts of janky. That's unacceptable. I am sure the rear camber can be fixed with new arms, but the front is unknown. 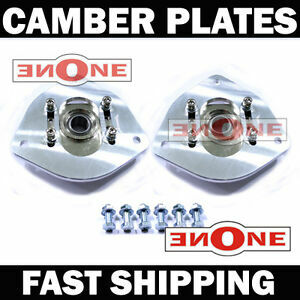 will the Mazda 3 camber plate fit our car? Trying to figure out what's going on and I see the left strut tower doesn't look the same as the right side, the one on the right side in the photo seems to be leaning to the side. Is this something can be fixed? FYI: Lowered 2 and no alignment? Alignment problems on lowered P5s?